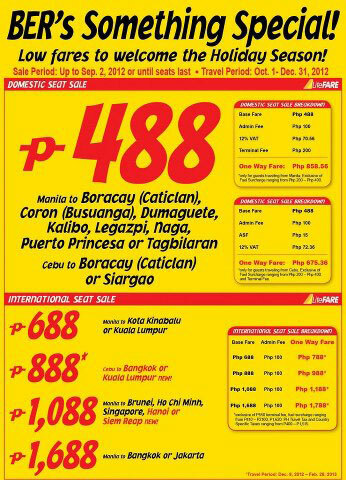 Book an early Christmas vacation trip for your family or friends through Cebu Pacific’s Ber-months Promo. Sale period is from Sept. 2 or until seats last. Travel Period will be from October 1 – December 31, 2012. This entry was posted in Travel/Airfare promo and tagged cebupac, domestic seat sale, low fare, seat sale on August 31, 2012 by Yami. Book your flight now for the long weekend! Check out www.tigerairways.com for more details. 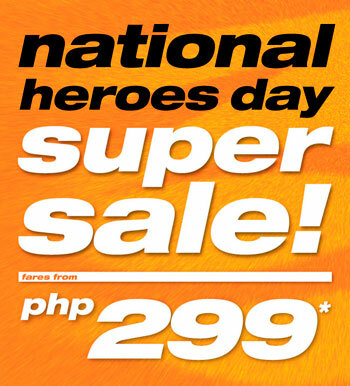 This entry was posted in Travel/Airfare promo and tagged domestic flight, domestic flight sale, flight sale, long weekend, national heroes day sale on August 24, 2012 by Yami. end at Plaza San Luis Parking Lot. Check out the link provided above to know more about the guided tour. This entry was posted in Tourists destination and tagged arranged tour, carlos celdran, guided tour, intramuros, Intramuros tour on August 20, 2012 by Yami.